A top aide to the Turkish PM, Ysuf Yerkel, has been given a week’s sick leave for “leg trauma” he sustained after kicking a mourner following Turkey’s worst mining disaster in history. 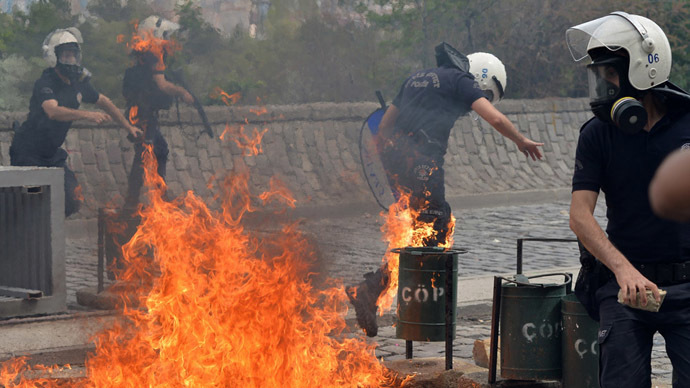 A picture of Yerkel kicking a protester who was being restrained by two security force members emerged last week following the official visit of Prime Minister Tayyip Erdogan to the town of Soma in the wake of the mining disaster on May 13. The image caused furor on the internet from an enraged public many of whom believed the government has dealt with the tragedy in an insensitive way. On the same day as the incident, Yerkel saw a doctor at the Anakara Ataturk Training and Research Hospital, reported Turkish news agency Hurriyet, citing a medical report. Yerkel complained of a pain in his right knee, but told Dr. Servan Gokhan that it had come about after a fall. The aide was subsequently diagnosed with soft tissue trauma and granted a week of medical leave. “There are 10x10 cm edema, bruises and soft tissue panicula on the right knee, and bruises and soft tissue swelling on the left shoulder and front of the chest. The patient has been diagnosed with soft tissue trauma as there is sensitivity with leg and arm movements and difficulty with walking,” the medical report said. Yerkel claims that he was acting in self-defense, and that the man whom he kicked had attacked him. He also denounced the “provocations and insults” he had received and refused to apologize to his victim. “I have been deeply saddened by the incident that occurred in Soma on May 14. I am sorry for being unable to keep calm despite all of the provocations, insults and attacks I faced on that day,” said Yerkel, according to Anadolu Agency. Witness accounts paint a different picture of the event. Hurriyet reports that Special Forces were interrogating the man after he kicked a vehicle in the prime minister’s convoy. When Yerkel saw the scene he reportedly ran over to the man and kicked him three or four times. An explosion caused carbon monoxide to inundate a mine in the Western town of Soma, killing at least 302 people on May 13. In the wake of the tragedy Prime Minister Erdogan promised “no stone would be left unturned” in the investigation to ascertain what caused the disaster. "Explosions like this in these mines happen all the time. 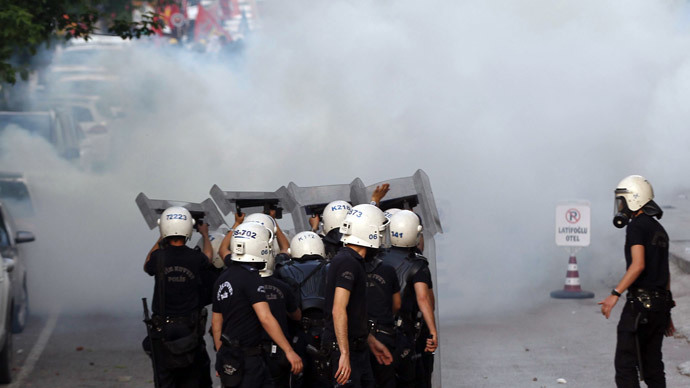 It's not like these don't happen elsewhere in the world," Erdogan told mourners in Soma last week. 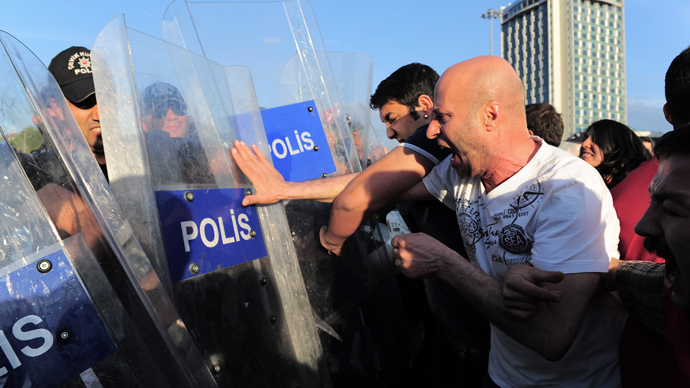 His words were met by public anger and mass protests across Turkey. Allegations of negligence have been leveled at the owners of the mine who claimed that they had adhered to safety protocol. On Monday a Turkish court arrested eight people in connection with the incident, including Ramazan Dogru, general manager of Soma Coal Mining Company, and Chief Executive Can Gurkan, the son of company owner Alp Gurkan. The last mining accident on this scale in Turkey was recorded in 1992 when a firedamp blast killed 263 in Zonguldak.